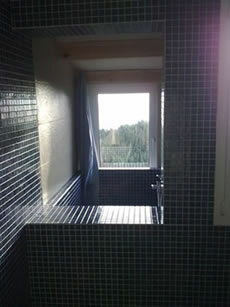 Villa for rent in Menorca with spectacular views in front of the sea. 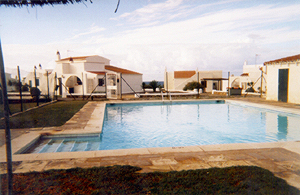 Villa Binisamar is located in Binibeca, south coast of Minorca. 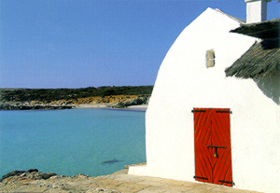 It possibly has one of the best locations in Menorca: the beautiful south coast of Binibeca. 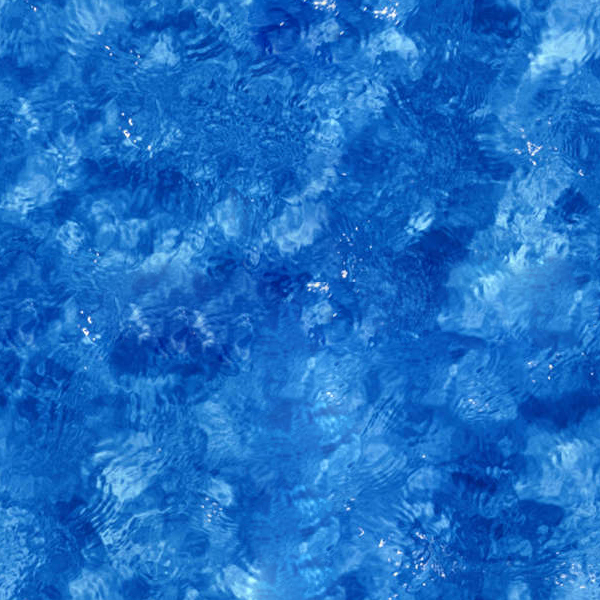 because of its crystal clear waters and unspoiled beaches all over the island. 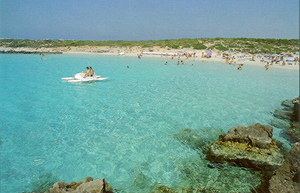 Menorca has an average temperature of 24ºC in July and August, 21 C in June, 18 C in May. Düsseldorf and Hamburg. There are also 14 daily flights to Barcelona. Binibeca has several supermarkets, convenience stores and ATMs within walking distance. for a relaxed vacation. 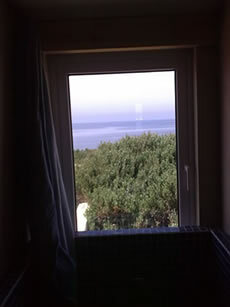 The sea can be viewed from the bedrooms, from the dining room, from the upper studio. View of the house from the sea. 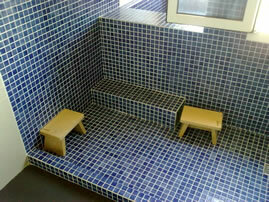 The villa has two double bedrooms and an additional room for one guest in a studio in the upper floor. It has thus plenty of space for 4 people. The house is fully furnished. microwave, washing machine). It has a large dining room with a fire place in it. Sunset after stormy day in Villa Binisamar. In the ground, the mountains of Mallorca.